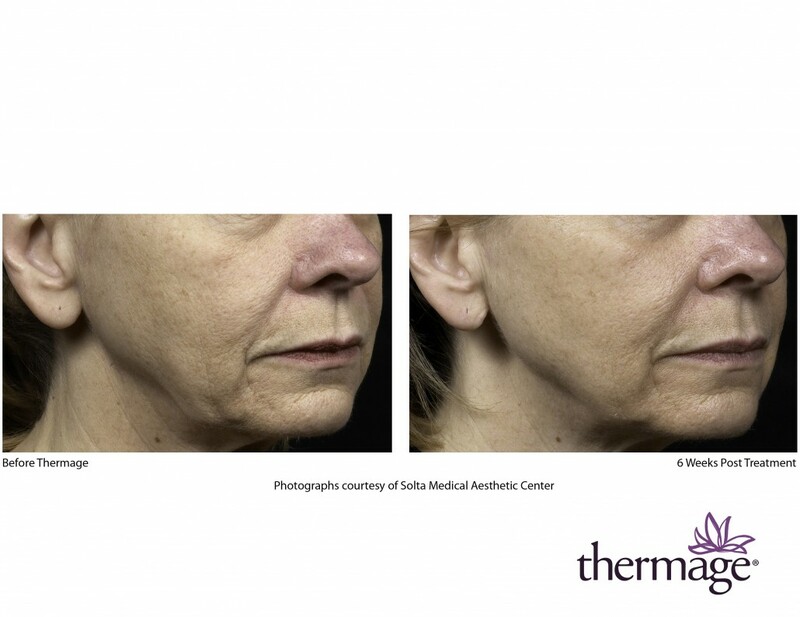 The ThermoCool TC is a computer-controlled radio-frequency device that can tighten the skin without injuring the epidermis, or outer layer of the skin; therefore, no visible wound is created. 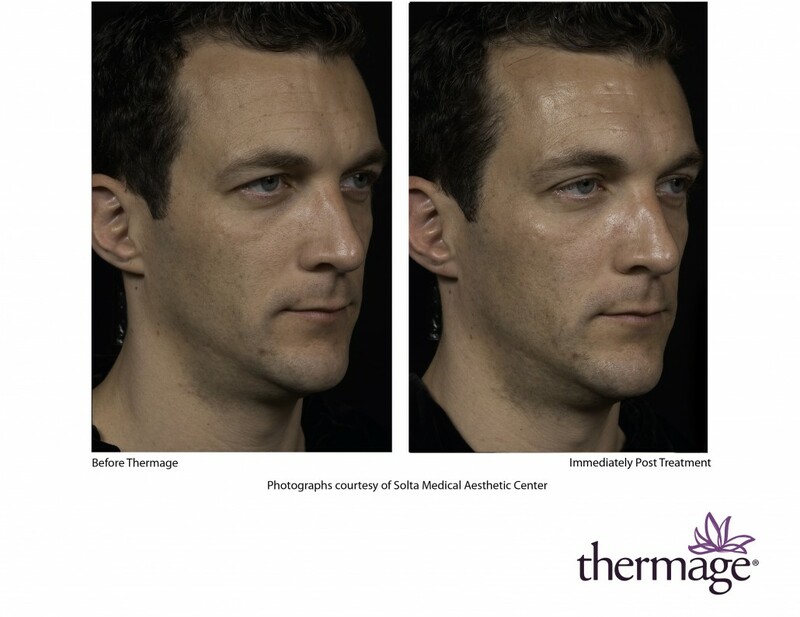 Each pulse of the ThermaCool precisely heats the tissue underneath the surface of the skin, contracting and remodeling collagen and tightening excessively flaccid or lax skin. 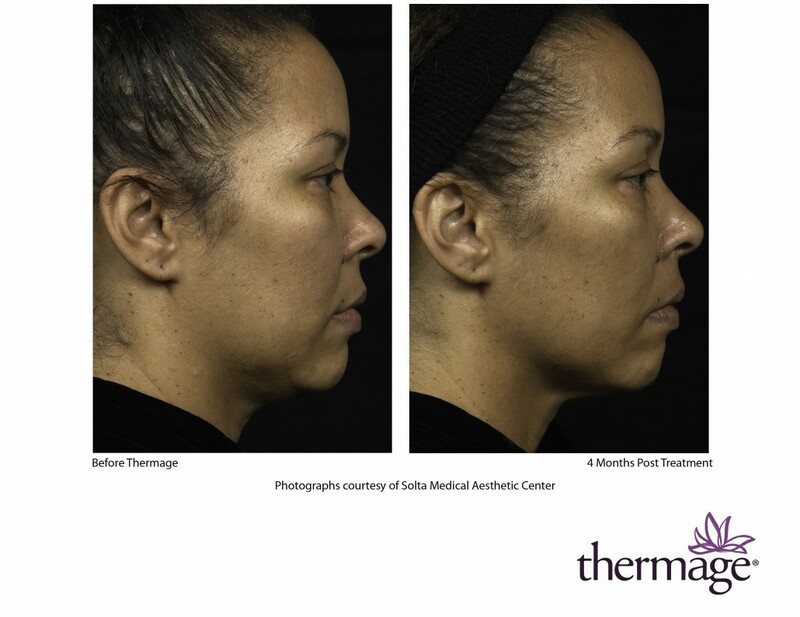 Although many patients will see some tightening immediately after the procedure, collagen remodeling in the deep layers of the skin over several months after treatment causes the actual lifting and tightening. There may be gradual improvement for up to a year following a single treatment. 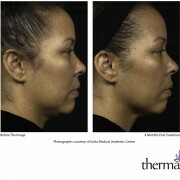 ThermaLift, or Thermage, is believed to be an extremely safe procedure. Although ThermaLift is relatively new, it is based on technology used in surgery for many years. Great effort has been made to make ThermaLift as safe as possible. The number of adverse effects is unusually small. There may be some redness and swelling in treated areas that usually disappears in a few hours. When the face and neck are treated, mild swelling in these areas may last a few days. No special aftercare is needed in the treated areas, and you may resume your normal skin care regimen immediately. Each time the machine is turned on, there is a sensation of heat in the treatment area. 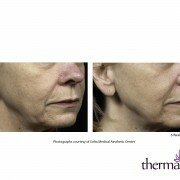 The entire Thermalift procedure takes one hour and fifteen minutes. There is no pain after the treatments, although mild tenderness, especially along the cheekbone or jawline, may be present for a day or so. Regular skincare products and makeup can be applied right after the procedure. No after care is needed after the treatment. Still not convinced? 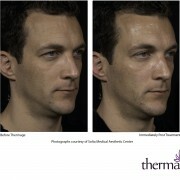 Learn more about what Thermage is and how Thermage works. 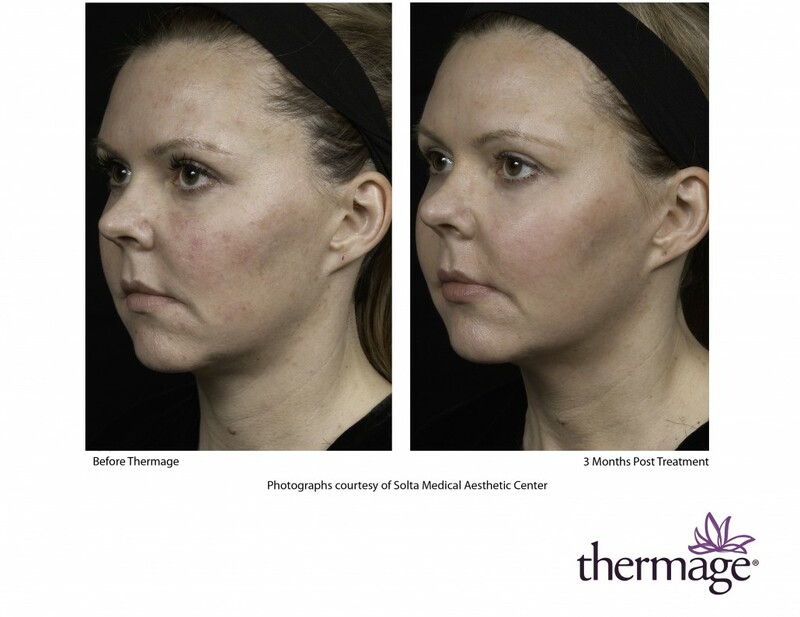 Are you ready to try Thermage? 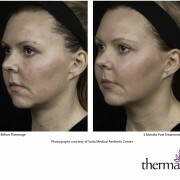 Visit Vivia Center in McLean, VA to try Thermage today.